The laminate flooring is a high-density fibreboard core that is covered with a thin strip of material that perfectly simulates a wide range of softwoods and hardwoods. This decorative layer is sealed with a clear protective coating that is highly resistant to abrasion and spillages. Laminates are also available with a moisture-resistant core for use in bathrooms, kitchens and utility rooms. As well as simulated wood effects, you can buy laminates that resemble ceramic tiles, slate, marble and other natural-stone flooring, complete with convincing joists and grouting, ready to be laid by our flooring fitters. The real-wood flooring can come as tongued and grooved wood strips that can be glued together to form a floating floor, or nailed down to the wooden subfloor. You can choose from a selection of European and American hardwoods, such as, beech, oak, walnut and cherry, as well as a few tropical hardwoods. But, before buying hardwood flooring, it is important to check that the timber comes from sustainable sources. A responsible supplier will be able to give you this information. This type of flooring provides the beauty and warmth of a real hardwood surface, but is cheaper than the solid wood boards. A softwood core is sandwiched between a thick veneer of decorative hardwood and a balancing veneer of softwood on the underside. 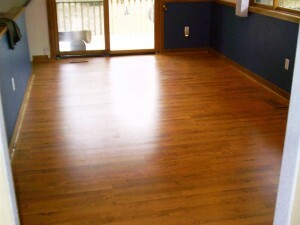 The hardwood surface comes ready-finished with a durable coating of lacquer. 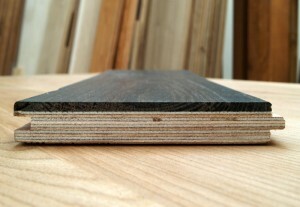 Engineered boarding is manufactured as snap-together strips that make real-wood flooring as easy to be laid as laminate. We are specialists in laying new wood flooring, like laminate flooring, engineered boarding, bamboo flooring and real-wood flooring, starting with the subfloor preparation and the fitting the underlay, by cleaning the subfloor surface and level it accordingly.If the old floorboards are not flat or are damaged, they will be replaced with new ones as well as the the nails will be driven below the surface. Before our flooring fitters starts to lay the flooring, they ask your opinion about the expansion gaps, between the wall and floor covering an expansion gap has to be left all round. This can be left by removing the skirtingboard and take the boarding up to within 10mm of the wall (and then to replace the skirting at a higher level to cover the gap) or they can leave the skirting in place and when the flooring has been laid, a narrow wood moulding will be glued or pinned to the skirting to hide the gap (of course the moulding can match the colour of the flooring, or it can be painted with the same colour as the skirting). We take in consideration the level of detail of the finish we leave, by cutting precisely around the pipes where’s necessary (or drilling) as well when our floor fitters reach a door way they will cut off the bottom of the doorframe, so the flooring will fit neatly under the frame. The floor fitting job ends with the threshold bar that will be fitted across the door opening to cover the edge of the laminate if the fitting ends at the edge of the door. We highly advise to store the laminates (and solid-wood flooring) in the same room where it will be laid to acclimatise to the ambient temperature and humidity. WE HAVE DEVELOPED AN USEFUL AND FRIENDLY ONLINE ESTIMATING TOOL TO HELP YOU GET A PRICE BEFORE BOOKING A SITE VISIT IN Eastcote , HA5.